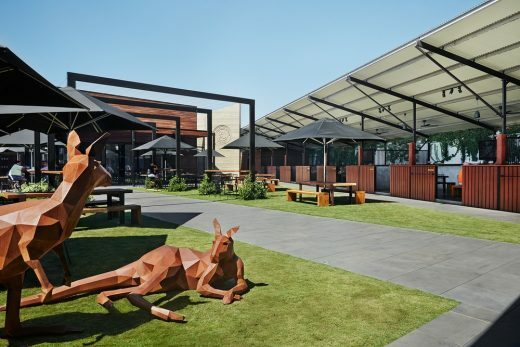 Horses have been replaced by hops at the St Andrews Beach Brewery on the Mornington Peninsula. The project brief called for an innovative change of use for the former equine training facility. 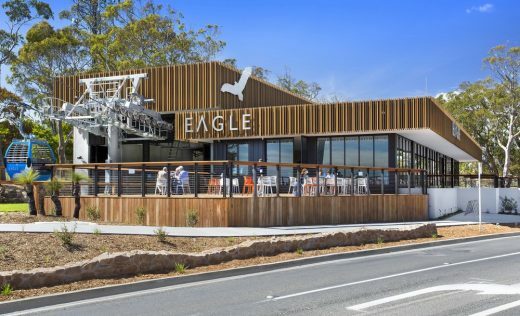 It has now been transformed into a recreational and culinary destination for locals and tourists alike. 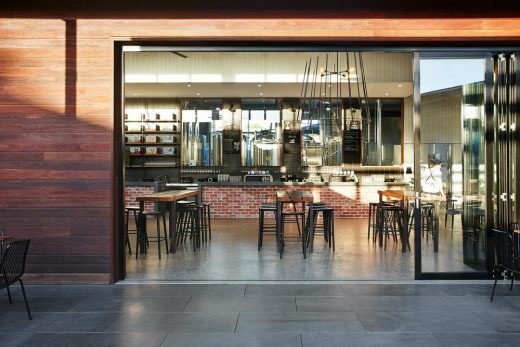 The development features a full scale brewery, cellar door, tasting rooms, bar and a variety of indoor and alfresco seating for social gatherings, dining and large group functions. The unique site context is celebrated by utilising existing structures such as the stables, which have been converted into seating zones. 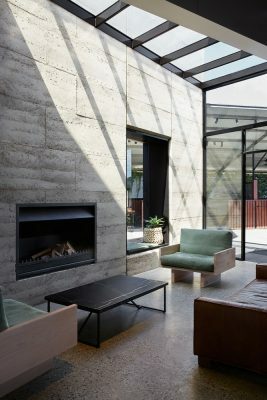 Natural materials, re-purposed from the site alongside earthy textures and raw metal details create a rich yet inviting ambiance, to complement the existing architecture. 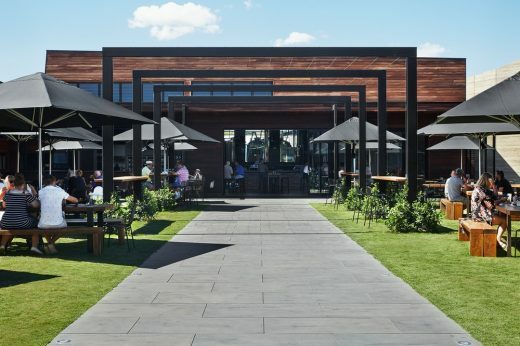 The former training home of Makybe Diva has been transformed into a hospitality venue that emanates a harmonious integration of old and new. 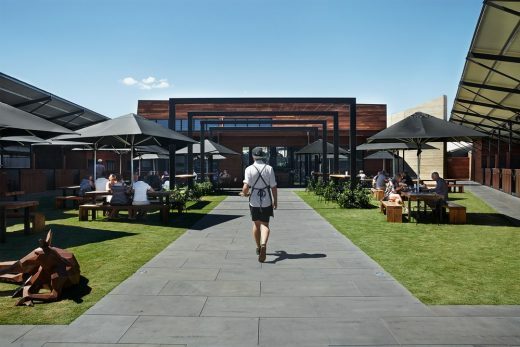 With a new lease of life, the existing sites infrastructure has been re-defined as a 10-hectare brewery featuring a cellar door, tasting rooms and bars, as well as a variety of indoor and outdoor seating options, accommodating social gatherings and group functions. 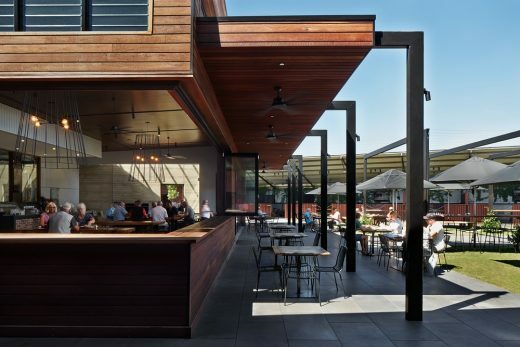 The brief specifically required us to cohesively integrate a fully functional paddock to plate restaurant, tank to glass brewery and self-sustaining agricultural business whilst maintaining as much of the original context as possible. 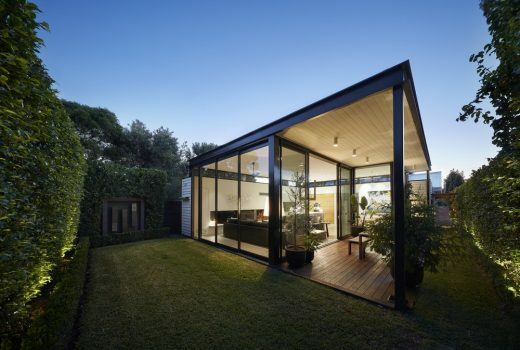 The overall design direction was informed by utilizing as much of the current site by designing a strong relationship between the context and the built form. 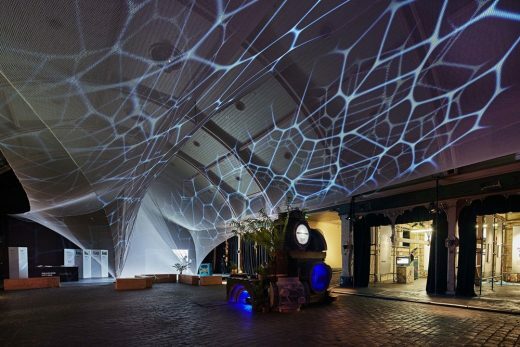 The unique sites context is celebrated through the conversion of horse stables to intimate booths, that open up to a bustling courtyard. 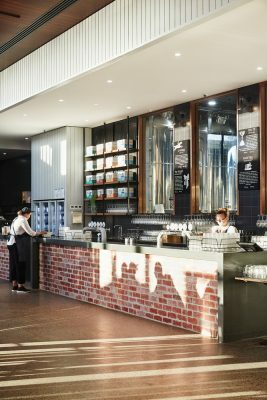 These booths have been named after award winning Melbourne Cup horses, subtly connecting the heritage of the building with the user and providing an intimate place for small groups to relax on long afternoons. Growing alongside the old tracks are over 8000 trees fruiting varieties of apples and pears providing a unique experience at the brewery. Once these fruits are ready to harvest this home-grown produce will form the basis of the brewery’s very own range of ciders. 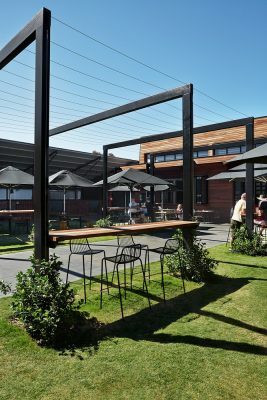 With such rejuvenation, this once abandoned site has now become a community hub and a culinary destination on the Mornington Peninsular. 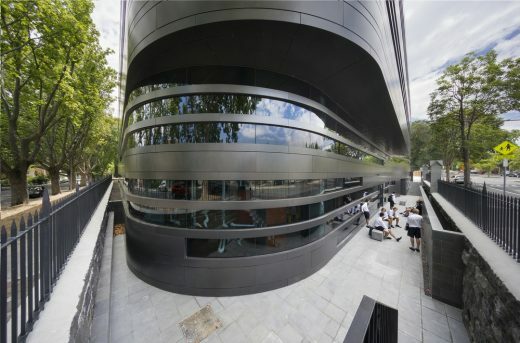 A major part of forming a relationship between the context and the built form was insisting on collaboration with local trades, landscape architects, engineers and artists. This ensured that the fruition of this site was well represented by the local community. 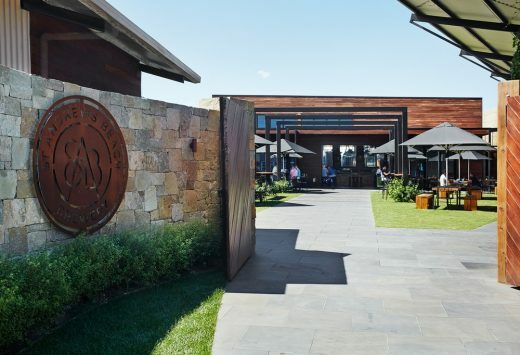 Even the client himself, involved in the original construction of the equestrian track, assisted heavily in the landscaping of the orchard and the surrounding grounds. 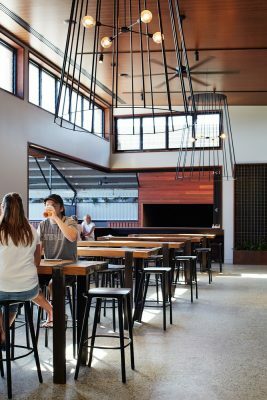 Natural materials were re-purposed from the site and formed many of the interior features including the bar front, timber booth and custom furniture. 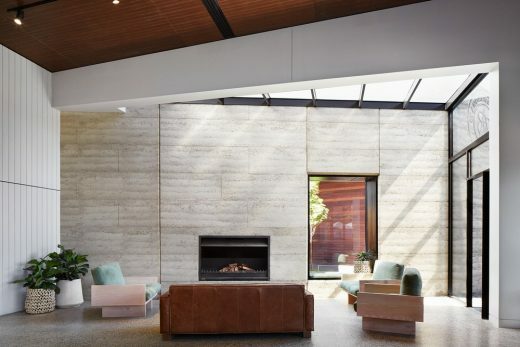 Rammed earth, metal detailing and custom lighting worked alongside the reclaimed existing fabric to create an inviting and humble interior. The reuse of the existing infrastructure was not only for sustainability but also financial efficiency. 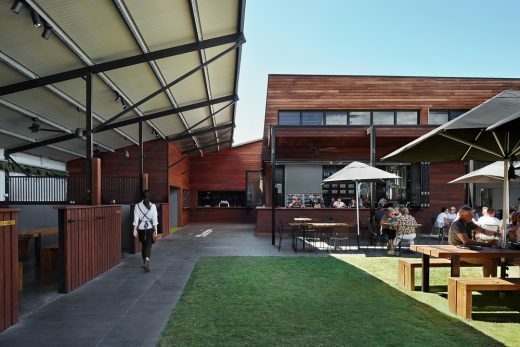 The client is a local himself and was committed to make use of an abandoned site to give back to the community, whilst providing a culinary destination for the wider area. 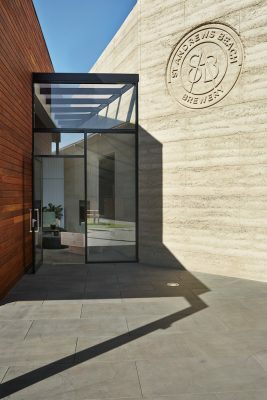 The existing site offered a rich palette of materials that were able to be re-purposed and integrated throughout the design of the brewery. 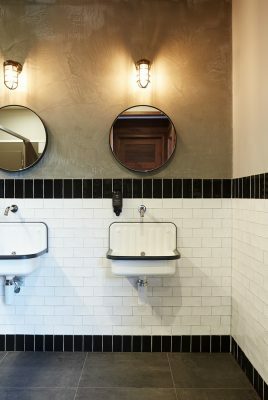 Recycled bricks line the bar face, adding texture whilst referencing the sites rich history. 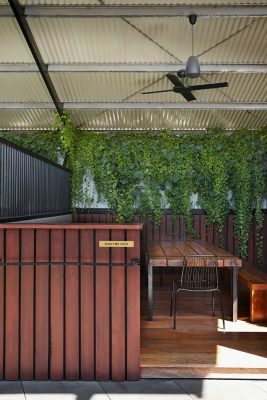 Reclaimed ironbark cladding forms cozy banquette and booth seating whilst also featuring in the design of the front gate and joinery elements. The original stables which form the unique geometry of the site have been re-purposed into private booths, each named after champion horses. 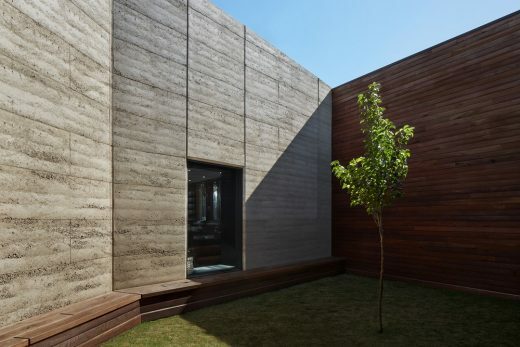 In addition to working with materials offered from within the site, our aim was to connect our design with the existing context as much as possible to reduce the requirement for additional services. 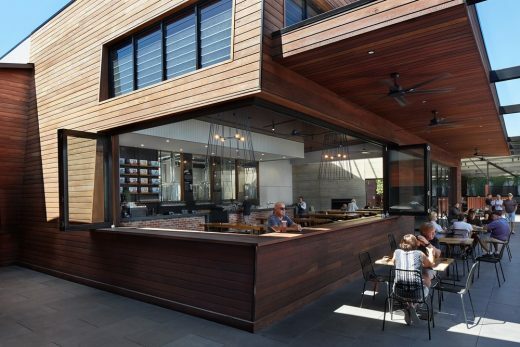 Integrated slab hydronics reduce the need for additional heating and openable louvered windows facilitate natural ventilation. Low VOC paints have also been applied throughout.